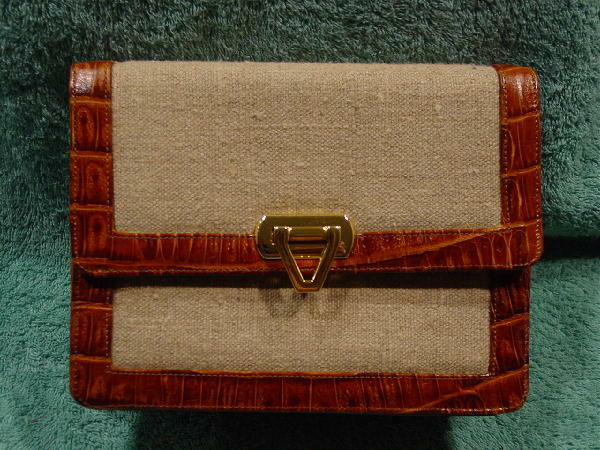 This Neiman Marcus Collection purse has a burlap and embossed cayman leather exterior. The burlap is in a natural color and the leather is in a caramel and saddle color. It has a gold-tone V shaped prong front closure and an open back pocket that's lined in black fabric. The flap and the lower section are burlap. 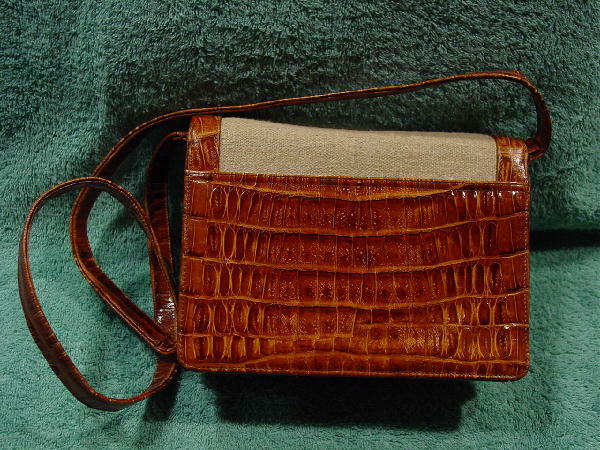 The rest of the purse is in the cayman pattern leather. 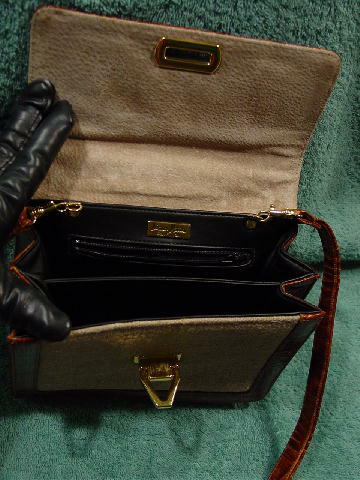 The underside of the front flap is covered in a bone-beige suede, and the interior of the purse is in a very soft black leather (that smells good). The main interior body is divided into two sections and the front side has an open leather-lined pocket. The back side has a zippered interior compartment with a black fabric lining. It has a detachable 43" long by 5/8" wide shoulder strap and a Neiman Marcus Collection gold-tone tag attached above the zippered compartment.